Travelling on points is a wonderful thing that everyone ought be able to enjoy. Yet, all too often it seems as though the game is stacked against those with families who wish to travel with their little ones. As the family's travel planner, you've got to put in extra work to earn enough points in order to book travel for more than two passengers. Moreover, when it comes time to redeem those points, it can be tough to find enough seats for the whole family on your desired flights. Today, we'll take a look at all the tricks and strategies that can be of use to parents who are eager to explore the world with their children, while simultaneously keeping costs down and perhaps treating everyone to a touch of luxury as well. The average family size in Canada is roughly 3 people, but for illustrative purposes we'll consider a four-person family with two parents and two school-aged children. In other words, the two adults must earn enough points between themselves to fund travel for four people. Smaller families face a slightly less onerous task, while larger families will probably have their work cut out for them. In any case, given the fact that only two members of the household can do the heavy lifting in terms of earning points via credit cards, it must be the case that some form of accelerated points earning scheme must be put in place. Exactly how aggressively you decide to hit up the credit card market will depend on your exact travel goals. As always though – and this holds even more significance for those with little ones to support – do make sure your finances and spending habits are in order before jumping into the credit card market for the express purpose of earning points. The first step for anyone looking to venture out into the world on points is to determine their goals. Let's assume a modest starting point: each year you'd like to bring your family of four on a trip to Europe, flying economy class, for two weeks. There's multiple places in Europe that you'd like to visit, so an Aeroplan Mini-RTW booking, which lets you stop in up to three cities for as long as you'd like, would be ideal. North America to Europe in economy class costs 60,000 Aeroplan miles per person, so that'd be 240,000 miles for four passengers. 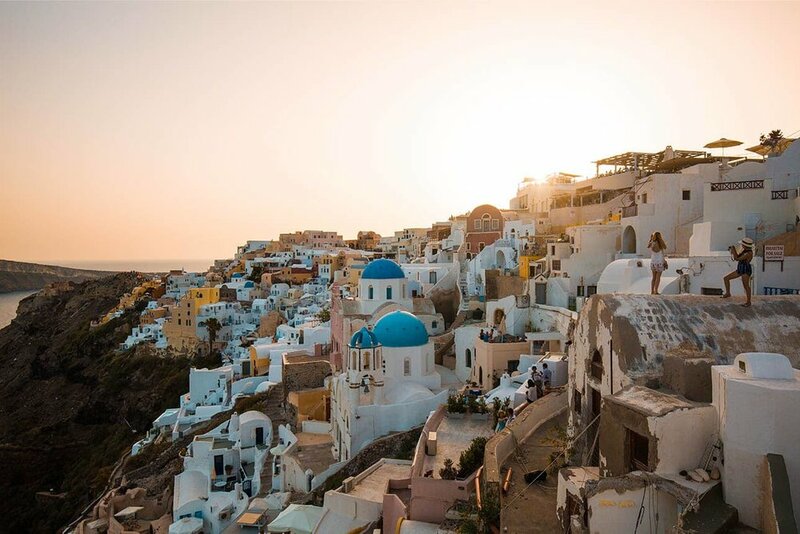 A word of warning though – you'll definitely want to make full use of the ability to have stopovers, since otherwise you can often book a simple roundtrip for better value by simply buying a regular cash ticket instead of using points. Note that ideally the two parents should "stagger" their ownership of the Platinum Card, so that both can take advantage of the two annual travel credits to lower the effective annual fee to $299, and also everyone in the family gets to enjoy Platinum benefits at any given time. So that's already 262,500 MR points, which can transfer 1:1 to Aeroplan for you to book your four-person trip to Europe, and we've only looked at two credit cards so far. Now let's throw in the fact that you'll need somewhere to stay during your two-week trip. 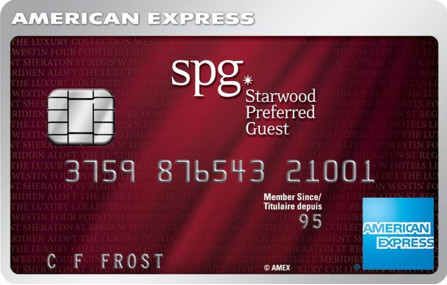 Enter the Amex SPG cards – if both parents grab the Amex SPG Card and the Amex Business SPG Card, that's a net 80,000 Starpoints right there, for a $540 outlay in annual fees. Remember, 80,000 Starpoints can also be converted to 240,000 Marriott Rewards points, so by exploring Starwood and Marriott's combined hotel footprint, you're certain to be able to trade in your hotel points for accommodations in the cities you're interested in visiting. If you take advantage of the fifth-night free benefit (i.e., you get a fifth night for free when redeeming points for four nights), it's even conceivable that these points could cover your hotel costs for the entire two-week trip! Not bad for $540 out-of-pocket, is it? The beauty of this beginner strategy is that it's entirely replicable and sustainable. Next year, when the travel itch kicks into gear once again, you can simply rinse and repeat and take the family on yet another trip. Of course, on a day-to-day basis you should be ensuring that you're optimizing your points earnings whenever possible as well, by doing things like maximizing shopping portals, crediting work flights to Aeroplan if possible, and making sure you're using the most powerful credit cards for your daily spending. Now let's kick things up a notch. While the strategy described above is a good basis for beginners to build on, there's so much more of the world to see, and there's so much more we can do in order to earn the points to take us there. Part of the appeal of Miles & Points is the ability to book business and first class flights on the cheap; this can come in especially handy when travelling with children, since a good night's rest on the outbound flight can make a big difference towards how the rest of the trip plays out. So let's raise our expectations a little: now, assume you'd like to bring your family of four on a business class trip around the world, say to Europe and Asia. That's of course possible with the Aeroplan Mini-RTW – you might even be able to squeeze an African stop in there – but you'd need 150,000 miles per person for such a redemption, meaning a total of 600,000 miles is required for the whole family. The strategy outlined above earned us 262,500 MR points, which transferred 1:1 into Aeroplan miles. How do you earn the incremental 337,500 points? Well, it's time to get more aggressive with the "churning" (i.e., signing up for the same card multiple times and receiving the bonus each time). Most credit cards can quite safely be churned on a "hold 3 months, cancel, wait 3 months, reapply" schedule, so let's do that with the Business Gold Card (doing it with the Platinum Card would mean paying $499 instead of $299 for one of the cycles, since the $200 travel credit can only be realized once per calendar year). If both parents added another Business Gold to their annual cycle, that's a further 120,000 MR points right there, once you take into account the points you get from meeting the minimum spending, as well as the referral bonus on the Platinum Card. If both parents cycled through the above offers twice a year, that'll bring you to the required 600,000 miles for a luxury round-the-world trip for the whole family. If this plan seems outlandish to you, it shouldn't: hundreds of families around Canada are already making use of it. This is where things can start to make you want to rip your hair out if you're not clear on what you're doing, and also the reason why many families find programs like Aeroplan something to be endured rather than enjoyed. All too often, families collect Aeroplan miles for years before realizing that redeeming miles for flights is a convoluted affair, and so opting to cash in their miles for toasters and gift cards at poor value instead. After all, "free gift cards is better than nothing"... but it's not as good as a round-the-world luxury trip for the family! It's important to go in with the correct expectations: you'll likely have to spend a considerable amount of time searching for award space, and even then you may well have to accept a few layovers here and there, especially if you're looking to leverage the program's sweet spots and hit up multiple destinations in one trip. Furthermore, airlines tend to limit the number of seats per flight that they make available for a points booking, meaning that securing award travel for a family of four is even more of a challenge, and this impact is felt much more keenly if you're looking for business and first class than economy class. Nevertheless, it's still rather unlikely that you'll be able to swing four business class seats on the exact flight you want. When that happens, you either need to be flexible in looking for alternate dates, or you'd be looking at "splitting the team" – say, between business and economy class, or across two different flights on the same day. The benefit of the former option is that everyone still departs and arrives together, although of course there's the question of who gets to sit upfront in the fancy seats. Many families choose to split the team on both directions of the trip, with one parent–child group taking the business class seats on the outbound and another on the return. Meanwhile, often times it might make sense for you to split the team across two flights on the same day in order to allow everyone to experience business class. Each parent–child pair can still enjoy some quality bonding time, and there's little real disruption to the travel plans if you arrive separately a few hours apart. This should only be considered, though, if both parents are equally comfortable handling themselves within the air travel environment, and each knows how best to proceed when things inevitably go wrong sometimes. When it comes to actually booking the travel, the miles will be coming out of the parents' accounts, and there's no issues with using one person's points to book tickets in another person's names (e.g., the children's names). Nevertheless, do make sure to take advantage of programs – like British Airways Avios or SPG – that make things easier for you, allowing you to pool both parents' miles into a household account and make bookings out of that single account. And speaking of hotels, given that you're travelling with a larger group, you'll likely be looking to upgrade your hotel rooms into suites. The Platinum Card bestows SPG and Marriott Gold Elite status as one of its many benefits, which will no doubt prove helpful in securing those upgrades. See how everything ties together nicely? Lastly, the general mantra with award travel is that it pays to make bookings either well in advance (i.e., up to 330 days out) or extremely last-minute (i.e., two weeks out). Since the latter option tends to be unrealistic for families, it might be worthwhile to do some long-term travel planning as parents to decide where to take the family over the next couple of years, allowing you to then take action as soon as the booking window opens.